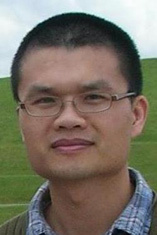 Zhigang Zheng was awarded a PhD of Computing Science and joined UTS in 2012. His research interests are in the areas of sequential pattern mining and data mining application, especially in customer data and behavior pattern analysis. Data mining for client behavior analysis has become increasingly important in business, however further analysis on transactions and sequential behaviors would be of even greater value, especially in the financial service industry, such as banking and insurance, government and so on. In a real-world business application of taxation debt collection, in order to understand the internal relationship between taxpayers' sequential behaviors (payment, lodgment and actions) and compliance to their debt, we need to find the contrast sequential behavior patterns between compliant and non-compliant taxpayers. Contrast Patterns (CP) are defined as the itemsets showing the difference/discrimination between two classes/datasets (Dong and Li, 1999). However, the existing CP mining methods which can only mine itemset patterns, are not suitable for mining sequential patterns, such as time-ordered transactions in taxpayer sequential behaviors. Little work has been conducted on Contrast Sequential Pattern (CSP) mining so far. Therefore, to address this issue, we develop a CSP mining approach, e C S P, by using an effective CSP-tree structure, which improves the PrefixSpan tree (Pei et al., 2001) for mining contrast patterns. We propose some heuristics and interestingness filtering criteria, and integrate them into the CSP-tree seamlessly to reduce the search space and to find business-interesting patterns as well. The performance of the proposed approach is evaluated on three real-world datasets. In addition, we use a case study to show how to implement the approach to analyse taxpayer behaviour. The results show a very promising performance and convincing business value. Sequential pattern mining plays an important role in many applications, such as bioinformatics and consumer behavior analysis. However, the classic frequency-based framework often leads to many patterns being identified, most of which are not informative enough for business decision-making. In frequent pattern mining, a recent effort has been to incorporate utility into the pattern selection framework, so that high utility (frequent or infrequent) patterns are mined which address typical business concerns such as dollar value associated with each pattern. In this paper, we incorporate utility into sequential pattern mining, and a generic framework for high utility sequence mining is defined. An efficient algorithm, USpan, is presented to mine for high utility sequential patterns. In USpan, we introduce the lexicographic quantitative sequence tree to extract the complete set of high utility sequences and design concatenation mechanisms for calculating the utility of a node and its children with two effective pruning strategies. Substantial experiments on both synthetic and real datasets show that USpan efficiently identifies high utility sequences from large scale data with very low minimum utility. Mining Negative Sequential Patterns (NSP) is much more challenging than mining Positive Sequential Patterns (PSP) due to the high computational complexity and huge search space required in calculating Negative Sequential Candidates (NSC). Very few approaches are available for mining NSP, which mainly rely on re-scanning databases after identifying PSP. As a result, they are very ine?cient. In this paper, we propose an e?cient algorithm for mining NSP, called e-NSP, which mines for NSP by only involving the identi?ed PSP, without re-scanning databases. First, negative containment is de?ned to determine whether or not a data sequence contains a negative sequence. Second, an e?cient approach is proposed to convert the negative containment problem to a positive containment problem. The supports of NSC are then calculated based only on the corresponding PSP. Finally, a simple but e?cient approach is proposed to generate NSC. With e-NSP, mining NSP does not require additional database scans, and the existing PSP mining algorithms can be integrated into e-NSP to mine for NSP e?ciently. eNSP is compared with two currently available NSP mining algorithms on 14 synthetic and real-life datasets. Intensive experiments show that e-NSP takes as little as 3% of the runtime of the baseline approaches and is applicable for efficient mining of NSP in large datasets. Negative sequential pattern mining has attracted increasing concerns in recent datamining research because it considers negative relationships between itemsets, which are ignored by positive sequential pattern mining. However, the search space for mining negative patterns is much bigger than that for positive ones.When the support threshold is low, in particular, there will be huge amounts of negative candidates. This paper proposes a Genetic Algorithm (GA) based algorithm to find negative sequential patterns with novel crossover and mutation operations, which are efficient at passing good genes on to next generations without generating candidates. An effective dynamic fitness function and a pruning method are also provided to improve performance. The results of extensive experiments show that the proposed method can find negative patterns efficiently and has remarkable performance compared with some other algorithms of negative pattern mining. Different from traditional positive sequential pattern mining, negative sequential pattern mining considers both positive and negative relationships between items. Negative sequential pattern mining doesn't necessarily follow the Apriori principle, and the searching space is much larger than positive pattern mining. Giving definitions and some constraints of negative sequential patterns, this paper proposes a new method for mining negative sequential patterns, called Negative-GSP. Negative-GSP can find negative sequential patterns effectively and efficiently by joining and pruning, and extensive experimental results show the efficiency of the method.